The best things always come as a sweet surprise and this statement holds true for the coming together of Ekta Kaul and Sumeet Vyas too. 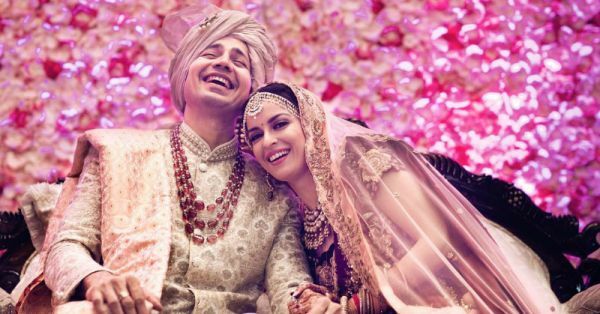 After announcing their engagement in August this year, Sumeet and Ekta finally tied the knot in a beautiful ceremony in Jammu on Saturday, 15 September. The celebrations were complete with haldi, mehendi and sangeet ceremonies, all held with a lot of pomp and show. Sumeet and Ekta started dating as pure luck. 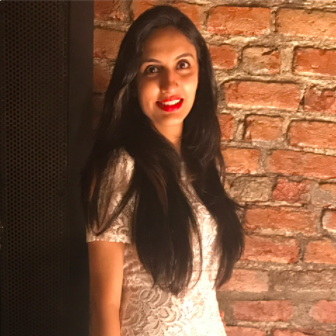 He saw her, was attracted to her and the rest is an interesting love story that Sumeet himself revealed a few days prior to his marriage (you can read it here). Sumeet and Ekta looked amazing in their colour-coordinated outfits. While Sumeet donned a baby pink and ivory sherwani, Ekta looked out of the world in a marsala-coloured lehenga with a baby pink dupatta. Her makeup was kept minimal, but her bridal glow made up for the lack of it. They look so happy, it's heartwarming! We wish Ekta and Sumeet a very happy married life and may their love always keep increasing!